Whether renovating your favourite cabinet or fitting out a new kitchen, our range of cupboard knobs will complete the job no matter what the style of furniture. Our extensive range includes Regency style brass beehive cupboard knobs, in an aged finish or contemporary nickel finish, to hammered black iron cottage cupboard knobs. The sizes range from tiny 20mm diameter cabinet knobs, to large 40mm diameter cupboard and drawer knobs. The finishes available are brass, nickel plate on solid brass and forge blackened iron with a beeswax coating. Or try our hammered cupboard knobs with a pewter patina to match with pewter patina cupboard handles. Solid ebony cupboard or cabinet knobs with a beehive design. Solid Victorian style ebony cupboard or drawer knobs. A pretty, hand painted ceramic cupboard, cabinet or drawer knob. A pretty ceramic cabinet knob for use in the kitchen, bedroom or office. A pretty ceramic pumpkin shaped cupboard or cabinet knob. Pretty round red and blue ceramic cabinet knobs. Ebonised cupboard or drawer knobs with an aged brass back plate. 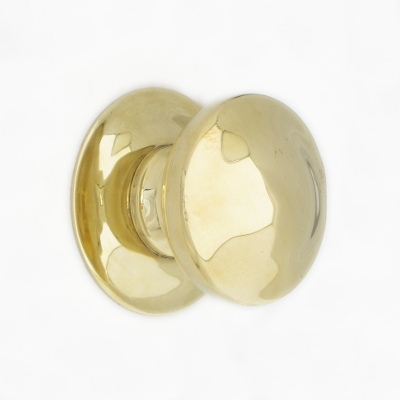 A stylish polished brass ball cupboard or cabinet knob. A simple oval polished brass cupboard knob for the kitchen, bedroom or office. A tiny cupboard knob with a hammered surface made in black wrought iron. 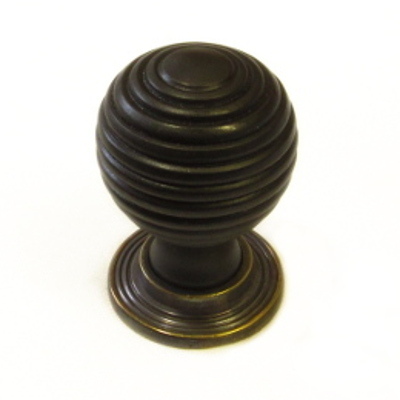 This cabinet knob compliments our other wrought iron cabinet furniture. Size: 20mm (3/4") diameter. A small black wrought iron cupboard knob with a hammered surface perfect for kitchen drawers and cupboards. Size: 30mm (1.1") diameter. 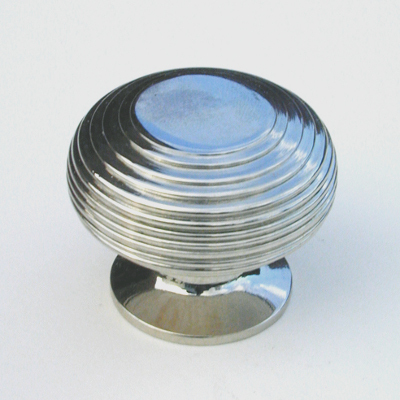 A small cupboard or drawer knob with a durable pewter patina finish and a hammered surface. A large wrought iron cupboard knob with a hammered surface and a durable pewter patina finish.